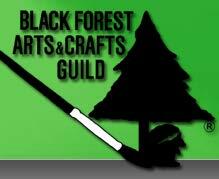 The Black Forest Arts & Crafts Guild is holding it’s 53rd Annual Fall Show and Sale November 1-4. 9:00 a.m. – 8:00 p.m. Thursday-Saturday; and 10:00 a.m. – 2:00 p.m. on Sunday. The sale will be held at the Black Forest Community Center located at 12530 Black Forest Road in Colorado Springs. More than 90 artisan and culinary members will sell their work, including: quilts, baby items, paintings, pottery, jewelry, woodwork, stained glass, jams and jellies, and much more. Admission is free. A portion of the sale proceeds will benefit the Black Forest Arts and Crafts Guild Scholarship Fund and Black Forest Cares. For more information, visit www.bfacg.org.